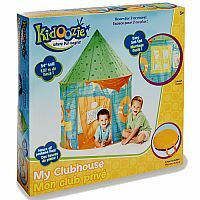 Let the fun begin with the Kidzoozie My Clubhouse. 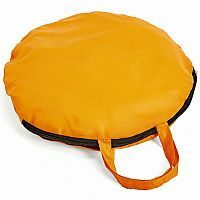 Take the tent out of the convenient carry case and it pops open. Four corded tent poles assemble easily and tie into place. The sturdy, unique clubhouse design appeals to both boys and girls. Generously sized to fit 2 or more. 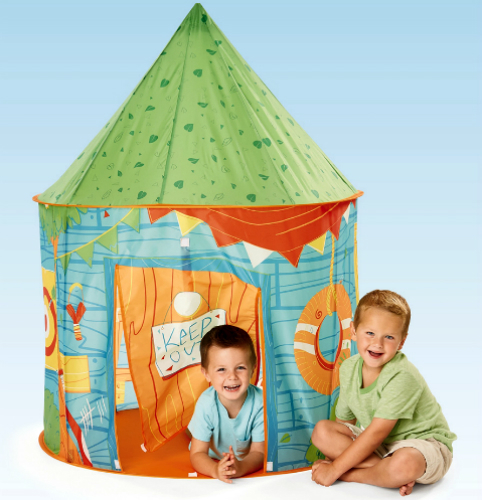 My Clubhouse is 54" tall when assembled. 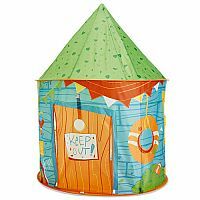 Features a front flap door, 2 mesh windows, and a zippered storage case. Measures approximately: 15.00 x 14.50 x 3.50 inches..